More than a week after the voters inflicted a shock defeat on the ruling UNP-SLFP coalition at the local government elections there are no signs of the crisis in governance being resolved. While it is clear that the movers and shakers of the SLFP and UNP, who contested the election separately, are lobbying MPs of all parties feverishly to secure a majority in Parliament, the majority of MPs are tight-lipped about their plans, again an indication of the uncertainty. 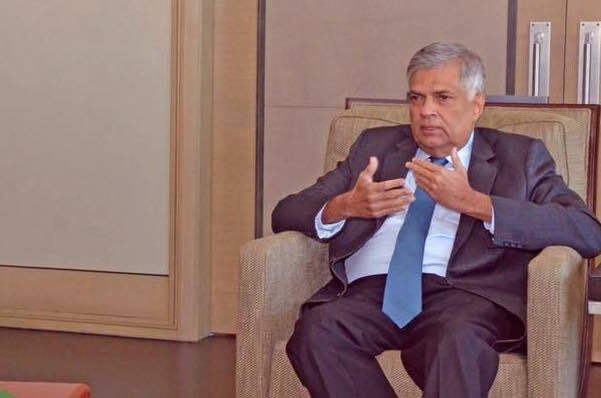 What has become clear however is that the leader of the UNP, Ranil Wickremesinghe, is not ready to give up the Prime MInister’s post. He has insisted that he has the legitimacy to remain as the premier. Meanwhile, President Maithripala Sirisena has declared that in the event Wickremesinghe does not make way for someone else in his party to become the PM, either in a UNP-government or in a unity-arrangement he would form a government of his own. This has forced Wickremesinghe to demonstrate that he has control of Parliament by dint of numbers. This burden is also on Sirisena who is reported to have told his choice for PM, Nimal Siripala De Silva to arrange matters so that he, Silva, can show the necessary numbers. As of now, sources from both groups claim they have control of 120 MPs, but neither seems interested in proving the claim in an open vote in Parliament. What this means is that there are several MPs who are comfortable being in a government led by either party. The TNA and JVP are not involved in these machinations as of now. However, at least 2 UNP MPs have decided to take an independent position, indicating that they could crossover. While around 7 SLFP/UPFP MPs are said to be amenable to joining the UNP, apart from Duminda Dissanayake, the others are apparently waiting on approval from the President to do so. The clear victors of the election, the Sri Lanka Podujana Peramuna has it’s own parliamentary representation in the form of the Joint Opposition. The JO has publicly stated that it would support an SLFP Prime Minister provided that Sirisena abrogates any and all arrangements he has with the UNP. The JO, by declaring that they will not want portfolios in such an arrangement, would in effect hold such a PM to ransom given the strength of numbers at its disposal. Meanwhile the legality of the Cabinet has also come up for discussion over the last few days since the unity-arrangement between the UNP and SLFP expired and as such it is no longer a ‘national’ government. Since it is not a ‘national’ government the cabinet needs to be downsized to 30 members. Basil and the JO wouldn’t mind any scenario…but would be best for them if Ranil is PM, either in a UNP-only govt (with or without a majority) or a National-govt. The voting pattern at the recent LC elections shows that it is still possible to use the infamous language/religion-divide to distract them away from the never ending corruption allegations. The other parties may latch on to this and we go back to square one.